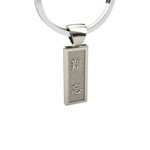 You carry a key ring every single day, so why not choose a really great one? 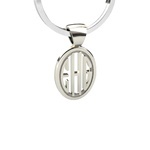 A Sorella Key Ring looks fabulous wherever you flash it, making a positive statement about your style. 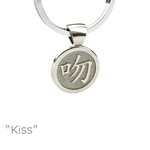 Sorella key charms are solid sterling silver and personalized with the monogram, Chinese symbol, or horoscope sign of your choice. Each comes with a clip you can easily attach to a backpack or briefcase, golf bag, belt loop, zipper pull or anywhere you wish! Perfect for both women and men, Sorella keys make memorable gifts for your sweetie, a business associate, a special graduate, bridesmaids, groomsmen or a very lucky friend. But don’t forget to treat yourself!